The Write to Text File action enables you to automate inserting and appending text to an existing file. You can use FinalBuilder variables in the File Contents field to customise the content. You can either append to the end of the file, or insert text at the start of the file. 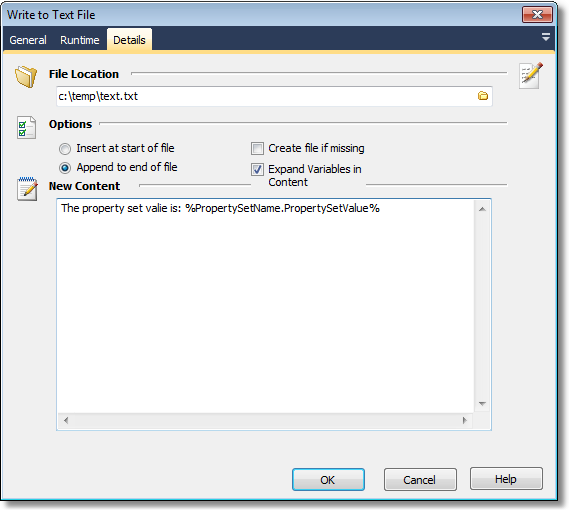 Create file if missing - the action will normally fail if the file doesn't already exist.